It's time for a victory lap. As the great Mohammed Ali said, "It ain't bragging if you can back it up." 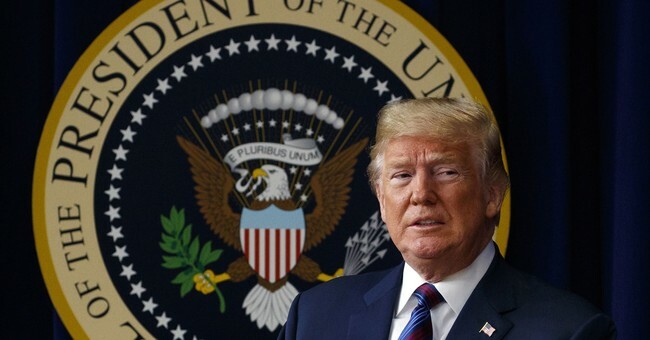 Since literally the day Donald J. Trump declared his candidacy for President (almost three years ago), I’ve predicted that he would turnaround the miserable Obama economy and produce the biggest economic boom since Ronald Reagan. I even gave this Trump economic turnaround a catchy name: "The Trump Miracle." I’ve compared Trump to Ronald Reagan hundreds of times in print and thousands of times on my national radio and TV shows. Well don’t look now, but Trump is our generation's Reagan. Actually, Trump may actually be better than Reagan. Reagan produced millions of good-paying middle class jobs, unprecedented prosperity and the greatest economic expansion in world history. Trump is on track to surpass Reagan’s economic success. Let’s start with the May jobs report. US job growth sharply accelerated. Nonfarm payrolls increased by 223,000, smashing expectations by 33,000 jobs. Manufacturing gained 18,000 jobs. Construction gained 25,000 jobs. Mining gained almost 6000 jobs. The jobless rate is now 3.8%, the lowest since November of 1969. Yes, I said 1969. Wages are up 2.7% for the year. Happy Days are here again. A wage increase of any size was just a rumor in eight years under Obama. But wait. I haven’t gotten to the really good news yet! The number of full-time jobs rose by 904,000 for the month of May. That’s the biggest monthly increase this century. We also lost 625,000 low quality, low wage part-time jobs. I call them "Obama jobs." Good riddance. When liberals praised Obama for creating jobs, I pointed out his own former Chief Economic Advisor proved an overwhelming majority were crappy, low-wage, part-time jobs. In the Obama era every new job required food stamps and free healthcare to survive. The Trump Miracle produces the exact opposite of Obama. With Trump's economy, its all about full-time, high-wage jobs. *GDP (Gross Domestic Product) is the only real way to measure if an economy is growing, or not. The Fed just predicted GDP for the 2nd quarter will be a blistering 4.8%. That's a number not seen since the days of Reagan. *The USA has moved back to #1 in the world in the global economic competitiveness index. Thanks to President Trump’s massive tax cuts and killing of regulations, we’re now ahead of booming economies like Singapore, Hong Kong and Switzerland. *A record 35% of small businesses reported paying higher wages to employees last month. 74% of employers plan to pay $11 per hour or higher, compared to 53% a year ago. Small business is exploding under Trump. Why is this happening? First, Trump cut taxes dramatically, so now business owners can afford to share the wealth. Secondly, Trump is killing regulations at the fastest pace of any president in history, so business owners can spend our money on paying higher wages, instead of on lawyer bills. And third, here’s the big one: Trump’s strict immigration policies are working overtime (excuse the pun). 40% of employers are using E-verify to hire only legal American citizens- up from 25% last year. Trump's policies are super-charging the economy for American citizens, not illegals. Now to a little personal example. I’m on the front lines of the economy. I have no safe job, no safe paycheck, no pension. I am a small businessman and entrepreneur. Which means I spend my life pitching deals and hustling 24/7. I’m the perfect laboratory experiment to tell you if the economy is working, or not. Under Obama I pitched many deals, but never raised one dollar in eight long years. Nothing. Zip. Nada. Zero. There was no life, no pulse, no hope under Obama for entrepreneurs like me. Everything has changed under Trump. The world of money has opened up. Everyone is buying again. Everyone is writing checks again. I’m the living proof. I’m raising money for business deals- and groups are banging down my doors to invest. Investors are begging me to take their checks. That never happened in eight long years under Obama. Coincidence? It’s a new day under President Trump. We are free to make money again. We are free to practice capitalism without guilt. The sun is out. The skies are blue. There's a job in every pot. The Trump Miracle lives. President Donald J. Trump should be the runaway winner of the 2018 Nobel Economic Prize.